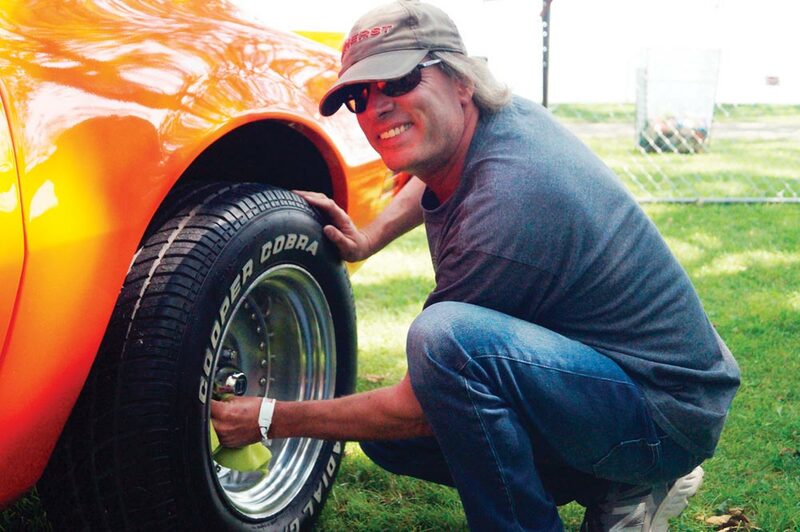 Chris Finlay of Sunderland took a few minutes to shine up the tires on his 1970 Pontiac Firebird during the classic car show at Lakeview Park over the weekend. (Photos by Dave Flaherty). Two days of beautiful weather created the perfect recipe for a successful Autofest weekend. In all, approximately $17,000 was raised for Grandview Children’s Centre, the beneficiary of proceeds from the longstanding event. More than 1,400 vehicles rolled into Oshawa’s Lakeview Park on Saturday, Aug. 26 and Sunday, Aug. 27. The park was literally filled with a rainbow of classic cars of all makes and models prior to 1987. More than 5,000 in cash prizes was handed out over the weekend. Other prizes included a draw by North Oshawa Lions Club for a 1968 Camaro SS and a 50/50 draw held by the Oshawa West Lions Club. A poker run was held on the Saturday and numerous awards handed out during the Parade of Champions. With the event marking its 25th anniversary in 2018, Stapleton says they are looking forward to an even better time next year.